Marketing will never replace calling on new clients, but it can bring some of them to your door. When I was last in charge of marketing for a national environmental firm, we attracted many calls and emails from prospective clients who became interested through one or a combination of our articles, white papers, presentations, internet resources, etc. These client-initiated contacts ultimately led to several million dollars in sales. We employed a content-driven strategy that was relatively light on the usual self-promotion. Instead, we focused on information, insights, and resources that helped clients address their most pressing environmental management problems and issues. It's an approach that is still largely ignored in our industry, which is one of the reasons I think it works so well. 1. Shift the focus from self-promotion to providing content of value to clients. I was talking with the marketing director of an engineering firm recently who seemed to be agreeing with me about the importance of content marketing. I soon realized, however, that the content she was referring to was promotional materials and messaging. Her's is a common perspective in our industry. And that's your opening. 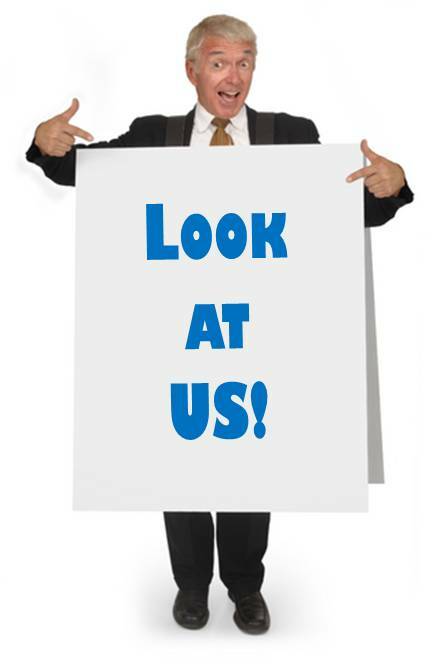 While every firm needs some promotional collateral (e.g., brochures, project briefs, etc. ), I recommend spending most of your marketing dollars--say 75%--on creating content about issues clients care about. Deliver it through multiple channels: publications, presentations, workshops and webinars, social media, your website, direct mail. Your best choices are identified below. 2. Hold seminars and other in-person events. This was the consensus choice as the most effective marketing tactic for professional service firms, based on my review of several recent studies. There are some advantages to sponsoring your own events, but you may find it just as effective (and certainly easier) to work through trade groups or other third parties. 3. Make conference presentations. This is one of the more popular content marketing tactics in our industry, but most firms could benefit by doing more of it. I suggest making this a priority for every conference or trade show that your firm exhibits at. This is the best way to drive more traffic to your booth. Speaking at conferences has long been the most productive marketing tactic for my business. 4. Conduct webinars. I'm not convinced that these are an effective training method, but they are relatively inexpensive and convenient, and thus quite popular. Again, you can put on your own or work through a trade group. But if you do the latter, ask about typical attendance. Some groups don't do a good job promoting their webinars or they may attract the wrong audience for your marketing objectives. 5. Place or publish articles. Pick topics that clients care about and provide a fresh, informative perspective on them. You'll also need to determine where best to place your articles for maximum impact. Try asking your clients what publications they read. But you don't have to rely entirely on third-party publications. Create your own (see email newsletters below), post them on your website, or push them out through social media. 6. Invest in search engine optimization. The evidence is clear--A/E firms can attract business through an effective web presence. But the majority of firms, even with those with substantial marketing staffs, don't even match my modest effort as a one-man shop. Getting "out there" (including having a competent website) is the first step, but you can use search engine optimization to dramatically increase traffic to your web-based content. Most firms will need some outside help in this area. 7. Build your marketing network. There are many ways to multiply your marketing efforts with little additional cost. Building relationships with reporters and journalists (as part of your PR program) is one such tactic that has worked well for many professional service firms. You can also explore doing joint marketing with firms that have complementary services and similar clients. Or simply getting linked on other websites. 8. Publish an email newsletter. Yes, many people suffer from email overload. But this is still an effective marketing tactic if you provide compelling and timely content. I regularly receive requests to be added to my mailing list, most coming from people I've never met who discovered me on the internet. Even if they rarely read what I send them (and most don't), they get a monthly reminder that I'm there to help. Then when the need arises, several of those subscribers end up calling me and some become new clients. 9. Determine how you're going to produce all that content. So why are most firms not doing the things listed above? It takes a good amount of effort. But there are some things you can do to facilitate the process. First, create a "hot list" of topics that your clients care about. Then search for the best information and insights on those topics that you can find on the internet. Why the internet? Because it's much easier to distribute other people's content through web links, in addition to providing source material for your own content. Finally, define your schedule and make assignments. I know, it can be really difficult to get your colleagues involved in writing articles or preparing seminars or presentations (without even mentioning the variable quality of those products). You might find it worthwhile to hire outsiders to help you produce such content. I've used college interns for this purpose--and at budget rates! Some contract writers are quite productive for the money, especially those experienced in writing about technical issues. 10. Be sure you're prepared to handle the leads that come from effective marketing. No doubt, better marketing will generate more sales leads. But will your business development staff and seller-doers be ready? Research indicates that about 80% of leads are neglected or mishandled. I advise establishing a formal process for managing leads that come through your marketing (and sales) efforts. This includes defining specific tasks, assigning personnel, setting deadlines, and tracking outcomes.